Valve and hose replacement kit. 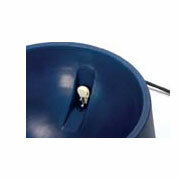 Need new parts for your 15 gallon water basin? This kit has all you need to get your auto-fill basin running like new. Kit includes - valve kit and 6' hose.